Looking back at my life, I have always had a tendency to procrastinate, but since becoming a mother and juggling all the responsibilities of life, I have become worse because I now have “legitimate” excuses. I am, of course, lying to myself. Excuses are excuses and as a result, procrastination has wreaked more than enough havoc in my life. Recently being faced with a problematic situation resulting from procrastination at work, I have come to the firm decision that my chronic procrastination must end…NOW! I started reorganizing our basement about 2 years ago. I have started several times and to this day still have not completed the project. Not because of the legitimate interruptions to my flow of work, but because when I could be doing it…I am not. I will come back to it later, I tell myself, later when I have more time. Ha! 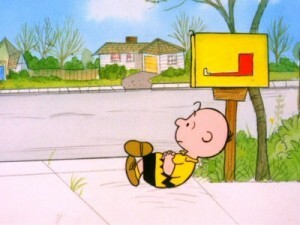 I have family, friends and colleagues waiting for responses to emails they sent me. Well, you guessed it; I read the email, plan to respond at a later time, and then move on to something else, and never come back to it. I have a neat heap of clothes needing minor fixing stacked in my bedroom. This is how that happens; I notice the need for a fix, tell myself I will take care of it…later, add the item to the heap and….never come back! I could go on, but I don’t think I need to. You get the idea! 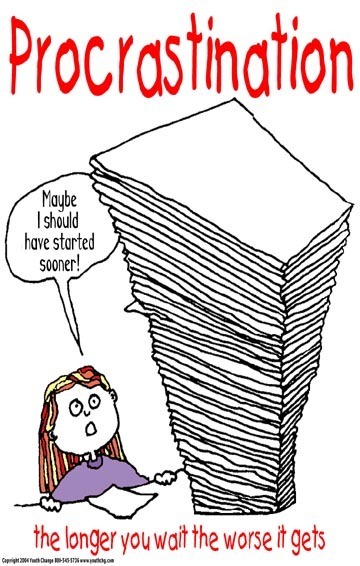 Keep putting things off and soon you will have piles of clutter and things to do. And let’s be honest, you will never be able to get to it, because as more things accumulate, you have less and less time to catch up. The second problem is the loss of your brilliant ideas. I have had the idea of “The Woman Hood” for a long time. I actually have my sketch of the logo pinned up on my woefully incomplete vision board (another procrastination) and it has been there for at least 3 years. It was available. I basked in my brilliance for a few minutes and then I did the least brilliant thing; I logged off meaning to come back to it later that day. I came back a year or so later and it was gone! A movie called ‘The Womanhood’ had taken it. I was devastated. I looked for similar names I could use instead, but since I didn’t love them as much as my first choice, I logged off in frustration planning to return when I felt less disappointed and mad at myself. It took months before I came back and when I did…even some of my original substitutes were taken. Now there were organizations, businesses and all sorts using some variation of the name. I cried out to God! Hey, I said, this was MY idea!!! The Bible says that the gifts of God are without repentance. 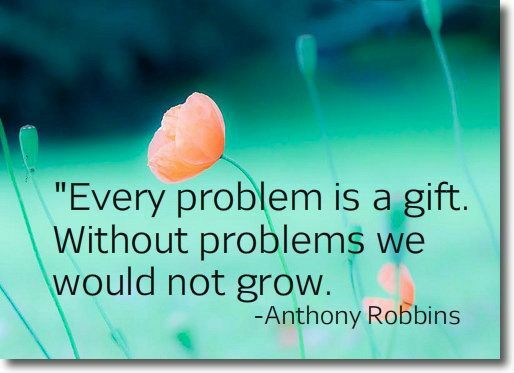 If you are gifted at something, this will always be the case. You may get rusty if you don’t use your gift, but it will still always be there. However, when God sends out an inspiration, a creative idea, into the Universe…you need to ACT on it…NOW!!! Because that idea is just a thought in the spirit realm, a vibration, that anyone can tap into. It may not be exactly your idea, it may be a variation there of. And if they act on it before you do….well, there you go. In some cases, you may still be able to redeem the idea and work it out, but in other cases…that idea maybe gone!!! Time and inspiration waits for no one. You need to act in the moment. Or that moment, that chance, that opportunity, and possibly that idea itself, could be lost forever. 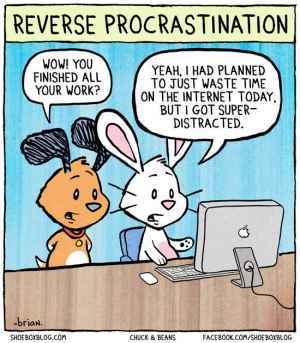 The third thing about procrastination is a stealth evil. You are not a woman of your word. All the things you said you would do, you have not done. You are a fraud and are afraid you will be discovered. You begin to withdraw, ashamed. Your sense of self-worth is spiraling out of control and before long, you are depressed. I know it sounds drastic. But this truly can and does happen. I know this from personal experience. 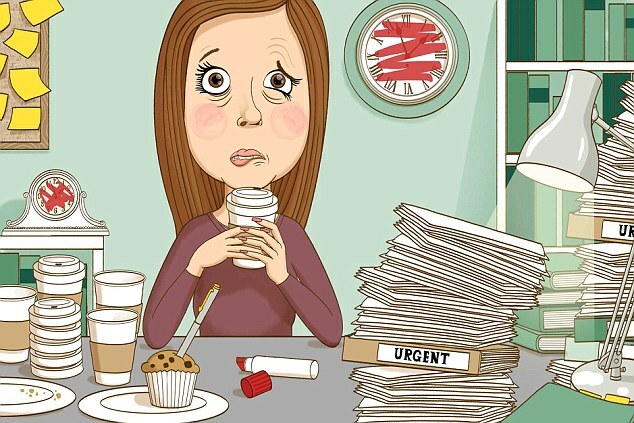 This is the most dangerous problem procrastination can cause. When procrastination begins to whisper in your ear, run the other way!!! So I have made the decision to quit! …For the things that are already piled up – get help. Hire someone. Ask family or friends for help. Get it done! Do away with the clutter. Do away with the piles. You will feel a lot better once the piles are gone. You feel lighter and as though you are starting on a clean slate. …Do away with the word “Later”. It is a useless word because later does not exist, it is an illusion. There is no later. There is only the present moment – the Now. Once you find yourself saying or thinking “I could do this later” STOP! And do it NOW! If it is something you really honestly cannot do at that moment, SCHEDULE IT! and get it done then. Warning! 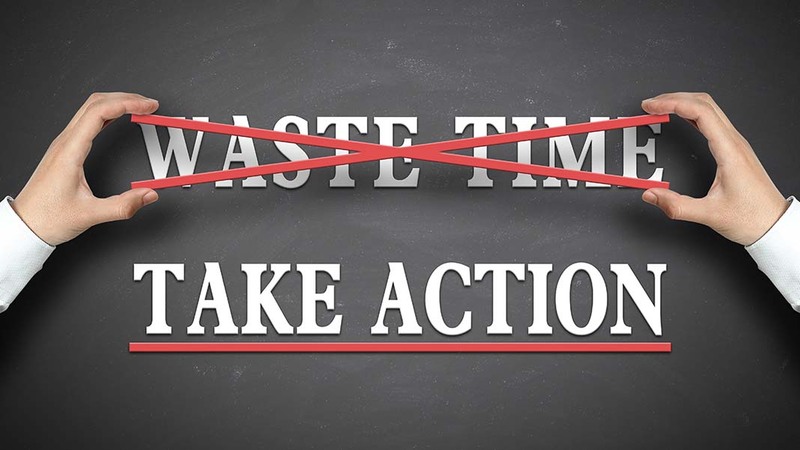 – Don’t just say ‘later’!…Put a specific time on it! Be patient and loving with yourself. I know I have to be. 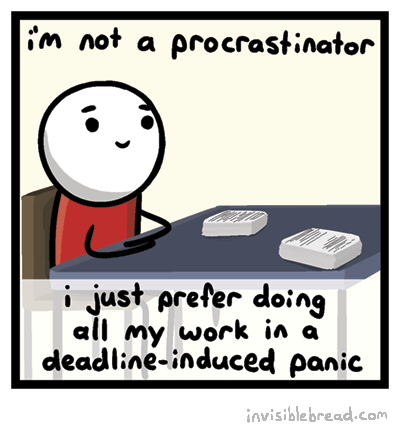 I have procrastinated as far back as I can remember. It’s going to take some time and persistence to change this chronic bad habit. But I intend to stick to it and you can hold me to it. Check in with me on this….”later”. wink wink…that word is allowed in this context…right? ?